At SNAP4CT, we love tacos and we love beans! 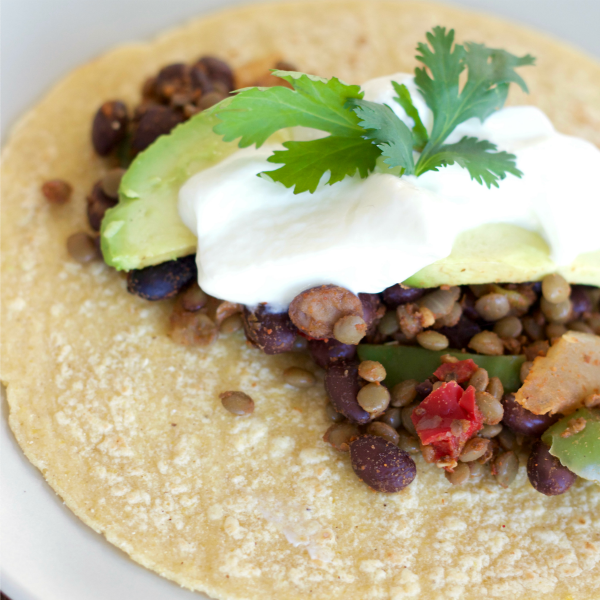 These vegetarian black bean and lentil tacos are loaded with fiber, which helps to make them diabetes friendly and heart healthy. Want another idea for a taco filling? Try this simple one pot, 2 ingredient Salsa Chicken recipe. Cook lentils in the water over medium-high heat until almost all of the water is absorbed (about 15 minutes). When there is about 2 tablespoons of water left, add black beans and taco seasoning. Stir and continue cooking until all of the water is absorbed (about 2 minutes). Add this filling to your favorite taco recipe.